Anthony Quinn | 50 Westerns From The 50s. The Anthony Quinn Public Library. The L.A. Times reported the other day on the Anthony Quinn Public Library and its collection of the actor’s papers and personal items. Built on the site of Quinn’s childhood home in East L.A., the library was recently awarded a National Endowment For The Humanities grant to help catalog and preserve the material. Some of it will one day be available to web researchers. 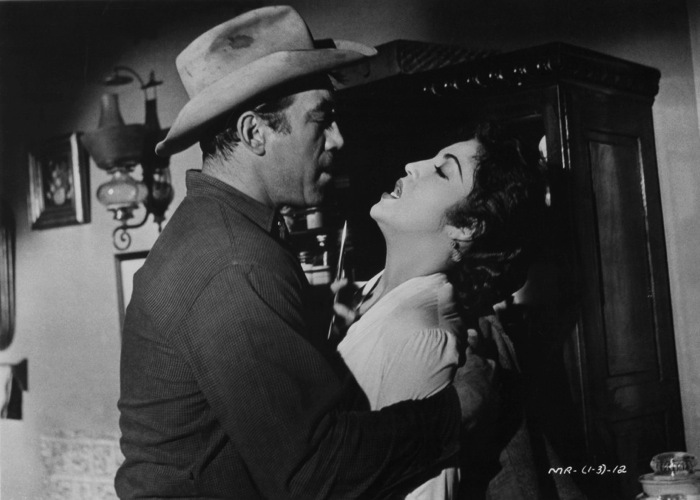 Quinn and Katy Jurado are seen above in Man From Del Rio (1956). This ad appeared in the Tucson Daily in September 1959 to promote the upcoming Last Train From Gun Hill, one of my favorite 50s Westerns. My wife’s been helping out with some web research — she’s better at it than I am — and came across this one. Another thing she unearthed, thanks to Hedda Hopper: Ziva Rodann, who’s plays Kirk Douglas’ wife, was Miss Israel. Hulu/Roku/Whatever Alert: Stream The Furies (1950) And Other Criterion Titles For Free This Weekend.. The word is that hundreds of Criterion titles will be available on Hulu for free over the weekend. There are some very, very great films in that list — from Wages Of Fear (1953) to Kubrick’s The Killing (1956) to Le Cercle Rouge (1970) and beyond. 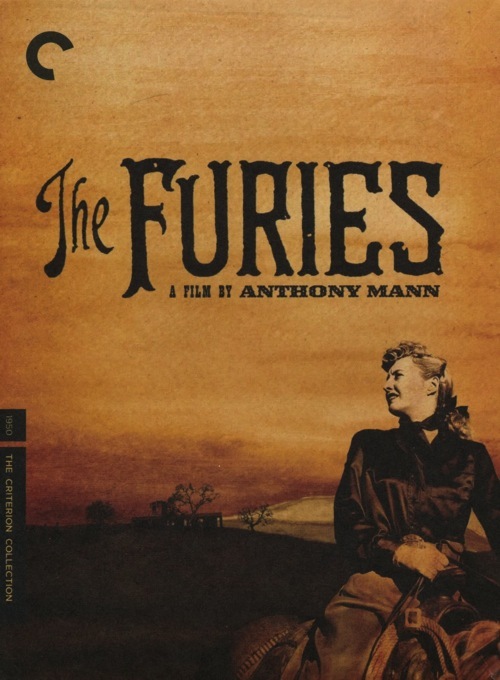 One I’d particularly recommend is Anthony Mann’s The Furies (1950) starring Barbara Stanwyck and Walter Huston (in his last role).